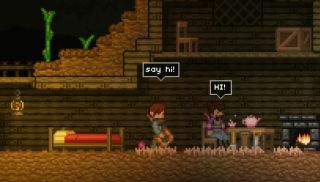 After a strong release at the start of the year, things went rather quiet for Starbound. Rather than periodic large updates, the team settled into an opt-in 'Nightly Build' format for those who really wanted to see what the "Early" in Early Access could mean. That work is now culminating in a massive Winter Update to the more stable beta build of the game. For those not keeping up with the Nightly Builds, it should be a dramatic shake up of the game. The above trailer outlines some of the major changes, from new blocks, items and enemies, to a new, fuller combat system. The update is due to be pushed out to the game's Unstable branch next week, with the Stable build release scheduled for January.